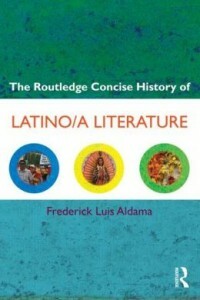 The Routledge Concise History of Latino/a Literature presents the first comprehensive overview of these popular, experimental and diverse literary cultures. Frederick Luis Aldama traces a historical path through Latino/a literature, examining both the historical and political contexts of the works, as well as their authors and the readership. He also provides an enlightening analysis of: the differing sub-groups of Latino/a literature, including Mexican American, Cuban American, Puerto Rican American, Dominican American, and Central and South American emigre authors established and emerging literary trends such as the postmodern, historical, chica-lit storytelling formats and the graphic novel key literary themes, including gender and sexuality, feminist and queer voices, and migration and borderlands. The author’s methodology and interpretation of a wealth of information will put this rich and diverse area of literary culture into a new light for scholars. The book’s student-friendly features such as a glossary, guide to further reading, explanatory text boxes and chapter summaries, make this the ideal text for anyone approaching the area for the first time.